The 57th annual Grammy Awards were held at the Staples Center in Los Angeles, California, February 8, 2015. 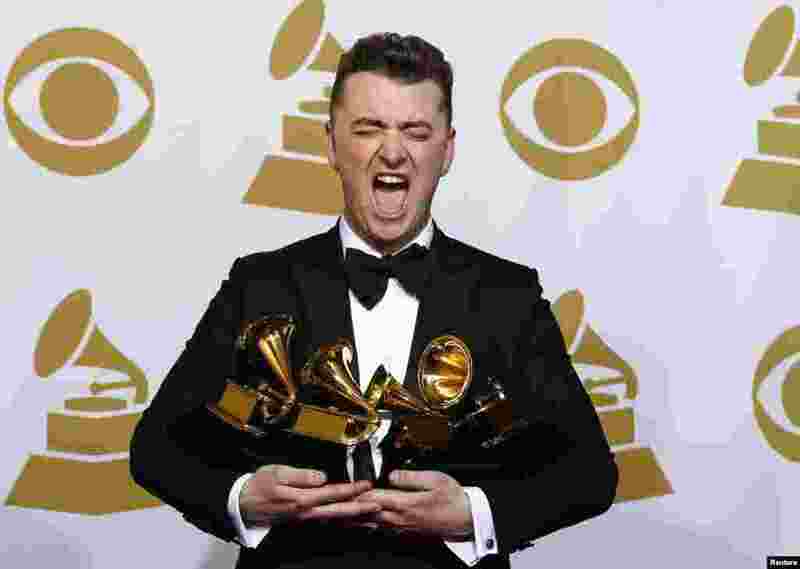 Heartbreak paid off for British soul singer Sam Smith, a newcomer who won four Grammy awards on Sunday including Best New Artist, Best Pop Vocal Album, Record of the Year and Song of the Year for "Stay With Me." 1 Sam Smith poses with his awards for Best New Artist, Best Pop/Vocal Album for "In the Lonely Hour" and Song of the Year and Record of the Year for "Stay With Me" in the press room at the 57th annual Grammy Awards in Los Angeles, California, Feb. 8, 2015. 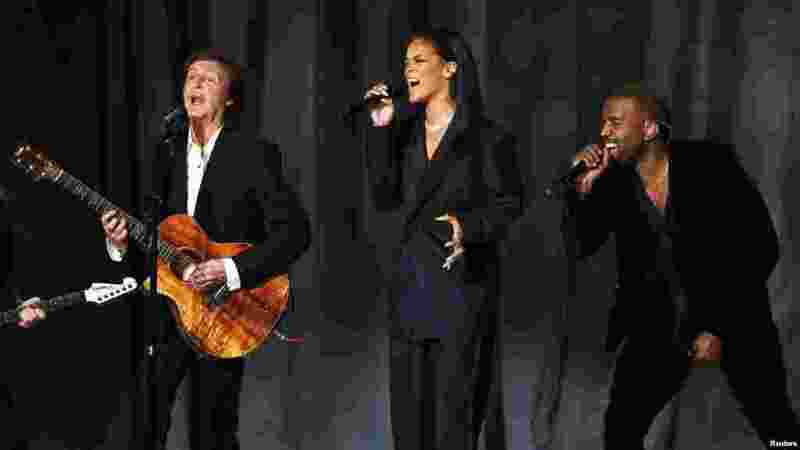 2 From left, Paul McCartney, Rihanna and Kanye West perform "FourFiveSeconds" at the 57th annual Grammy Awards in Los Angeles, California, Feb. 8, 2015. 3 Beyonce performs "Take My Hand" during the 57th annual Grammy Awards in Los Angeles, California, Feb. 8, 2015. 4 Madonna performs at the 57th annual Grammy Awards in Los Angeles, California, Feb. 8, 2015.